Are these the greatest ballet dancers of the last 100 years? World-famous ballerina Deborah Bull thinks so. She explains her choices below. Russian dancer and choreographer of Polish descent, celebrated for his virtuosity and for the depth and intensity of his characterisations. Deborah Bull says: "Through the Ballets Russes' tours abroad between 1909 and 1929, Western audiences had their first-ever taste of Russian ballet. 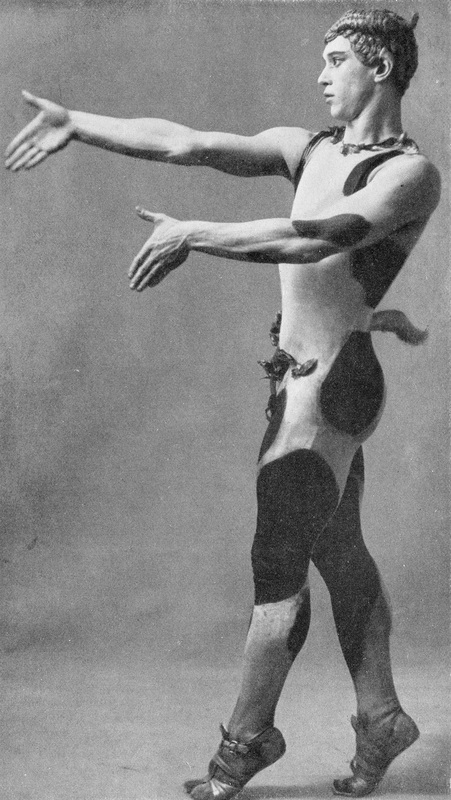 In no one was the brilliance of the dancers' technique and artistry more extraordinary than Nijinsky." Unfortunately no video is available of Nijinsky in action. Russian prima ballerina, recognised for the creation of the role, 'The Dying Swan', who became the first ballerina to tour ballet internationally. Deborah Bull says: "An iconic ballerina, Pavlova was not only a sublime artist but also a great innovator, making use of the new invention of film and exploiting her fame to take ballet to new audiences. Her tireless tours to what would have been exotic and distant lands - India, east Asia, Australia - seeded classical ballet in countries around the world. It was a performance by Pavlova in Lima, Peru, in 1917 that inspired the great Frederick Ashton to become a dancer." Acclaimed Russian dancer transferred by Stalin to the Bolshoi Theatre to be prima ballerina assoluta for 16 years. "Ulanova's performances with the Bolshoi during its first-ever performances in the West - at the Royal Opera House in 1956 - changed ballet in Britain forever." Soviet-born dancer whose expressive skills, provided a new role for the male dancer who previously served primarily as support to the women. "Nureyev's defection to the West in 1961 represented the 'second coming' of the Russian dancers and set new standards. With Margot Fonteyn, he is one half of the most famous partnership ballet has ever seen. A household name." See a video of Nureyev dancing with Fonteyn below. Fonteyn spent her entire career as a dancer with The Royal Ballet, eventually being appointed Prima Ballerina Assoluta by HM The Queen. "She defined the image of the ballerina for most of the 20th century. Fonteyn and Nureyev were ballet's golden and most glamorous couple." After defecting from Russia, he later became artistic director of the American Ballet Theatre. In 1977, he received an Oscar nomination for Best Supporting Actor in The Turning Point. "Famed for his partnership with Natalia Makarova. Through movies such as The Turning Point, Baryshnikov took ballet to a massive audience. He has continued to dance way beyond conventional retirement age, extending his creativity into contemporary works." Russian ballerina who performed with the American Ballet Theatre in New York and the Royal Ballet. "Another defector from Soviet Russia. Post-Makarova, high extensions (getting your leg up as high as possible) became an essential job requirement." Most noted for the role of Oberon in The Dream by Sir Frederick Ashton and for his filmed performance as Siegfried in Swan Lake with Natalia Makarova in 1980. "Not the first British male dancer, but the first world class male star to be trained and developed through the Royal Ballet School and company established by Dame Ninette de Valois." See a video of him dancing with Gelsey Kirkland below. After joining the New York City Ballet at 15, she was promoted to soloist in 1969 and principal in 1972. She went on to create leading roles in many of the great 20th-century ballets. "From baby ballerina at New York City Ballet, to the cover of Time magazine, Kirkland had a relatively brief career in the 1970s and 80s but she had a major impact on young dancers like me." The top-ranking female dancer with the Paris Opera Ballet from 1984 to 1989, before becoming a principal guest artist with the Royal Ballet in London. "Sylvie broke the mould and redefined what a ballerina could be, post-Fonteyn. She excelled in the classical repertoire and then forged new pathways in collaborations with contemporary choreographers. She continues to innovate, even in her late 40s."